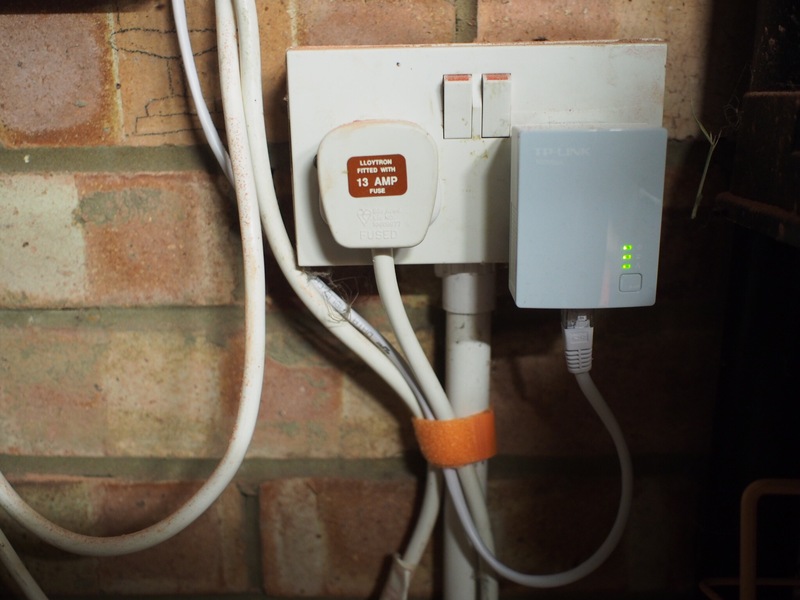 With six people using our home network, and heavy requirements to move data and stream media, my home network has evolved over the last twenty years. I have just made some substantial changes – things now look different from my last update, so this attempts to document those changes. Backup strategy – I now want to shift gigabytes at a time of backup data out to my garage. Wireless coverage there is poor, and even inside, it was contending with media streaming traffic. 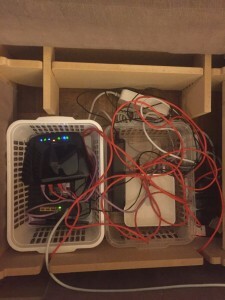 Wireless channel contention – there were no other 5GHz networks visible from my house when I set things up – now there are several. Device support – all of the latest client devices support 5GHz and one of my existing routers died of old age. The front of the house: Cable Modem, Mac Mini running Plex for media sharing, Apple TV to stream movies to the main TV. The study in the middle of the house: fixed monitors, home for my laptop connected to external hard drives for photo editing, a networked printer and an XBox 360. The garage: a laptop running Ubuntu with 4TB external storage as a backup target. I also needed to support 2.4Ghz and 5Ghz wireless devices as before, albeit with a much reduced requirement for guaranteed quality of service. The network is now built around a Powerline Ethernet backbone. This made Rob Chipperfield (blog|twitter) cry when I discussed it with him as apparently they play havoc with ham radio frequencies but by his own admission, he has inflicted problems on other people, too. 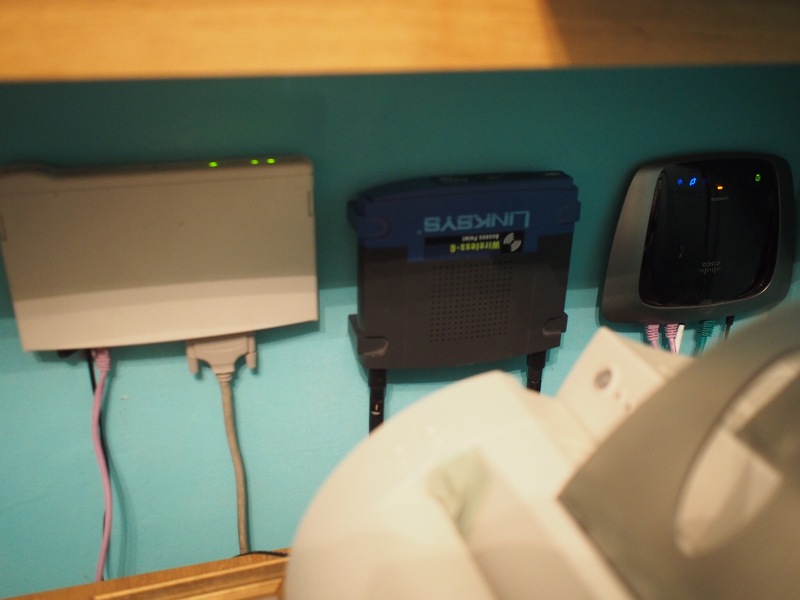 Following various hardware failures, I now use two Cisco Linksys WRT320N routers – these are attractive because they can be flashed to happily run the aging-but-reliable dd-wrt, they’re dual-band, and they have a four-port gigabit switch. They’re available for around £40 each second-hand. 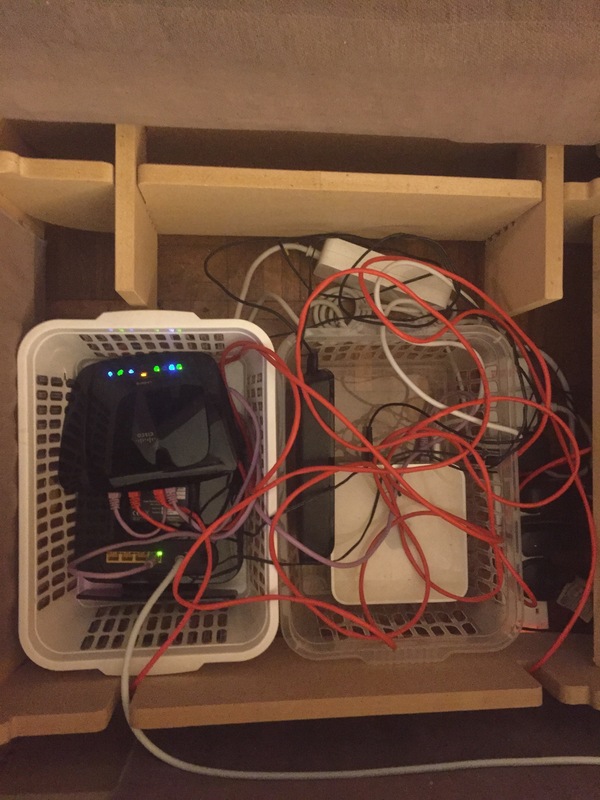 One is the network gateway, handling DHCP, DNS, bridging to the 5GHz 802.11n WLAN and gigabit switching near the TV/media server. 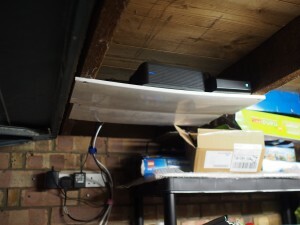 The other is in the study, bridging to the 2.4GHz 802.11b/g network and providing gigabit wired ethernet to the study. In my experience, wireless routers tend to last for around five years and when these die, I’ll probably replace them with a simultaneous dual-band switch.